Early maps are a great source for Native researchers. They often show the locations of Indian peoples or towns, in addition to place names that reflect Native people as well. At this link, you will find several interactive maps. As an example, let’s take a quick look at the 1755 Mitchell map. It’s extremely detailed and this site allows you to zoom in on different areas. 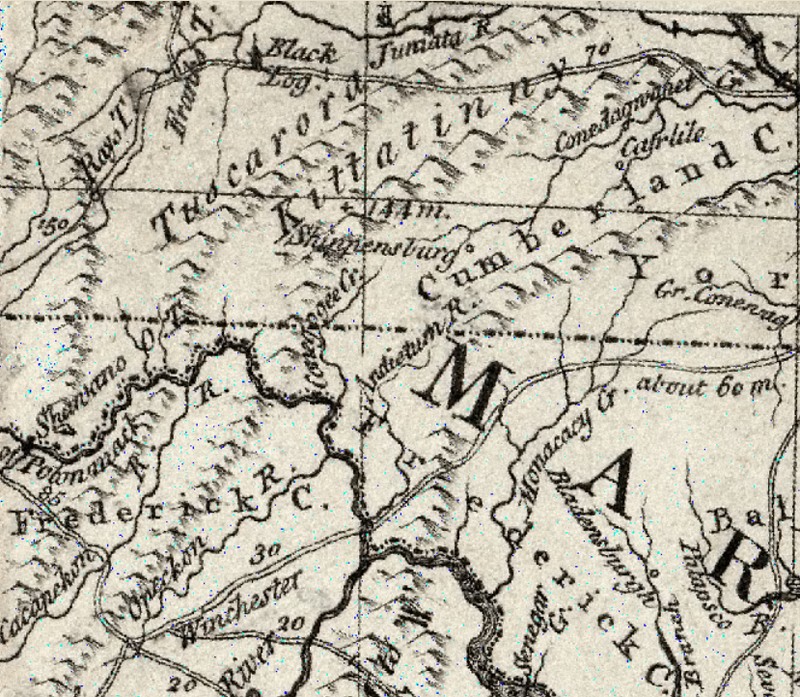 If you look closely, you’ll see that it says “Shawanoes” and then right above that, “Subdued by the Six Nations and mostly removed to the Ohio.” To the right of those words, you’ll see the word “Tuscarora.” To the upper left, Cayugas. 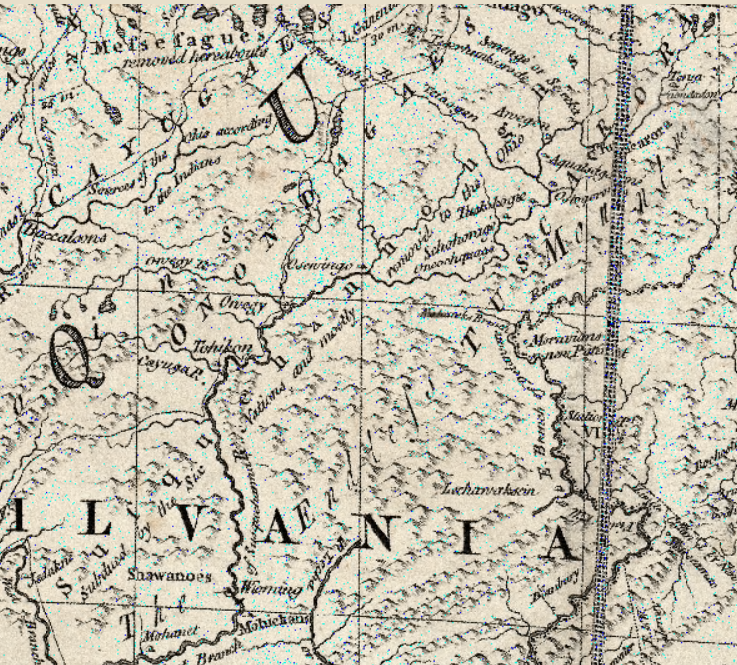 Looking just south of that on the map, on the migration path from North Carolina to Pennsylvania and New York, we see the Tuscarora noted again just below the Juniata River, and just above Winchester, in Frederick County, Virginia, the gateway to the Shenandoah Valley. Much of the history of the migration of various people can often be found in places named after them, even after they left that area. Even looking on contemporary maps, and comparing them with earlier maps can be enlightening. 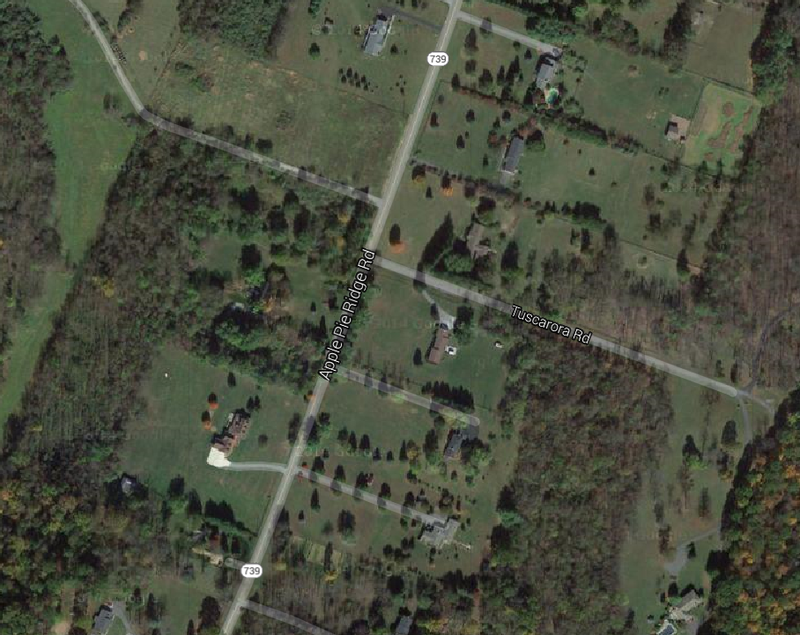 For example, on the present day Google map below, we see Tuscarora Road in Frederick County, above Winchester. Local history tells us that the Tuscarora lived in this area. This entry was posted in Cayuga, Shawnee, Tuscarora. Bookmark the permalink. Truly grateful to you and this blog.